More and more, retailers are falling into a cadence of using discounts to attract consumers. 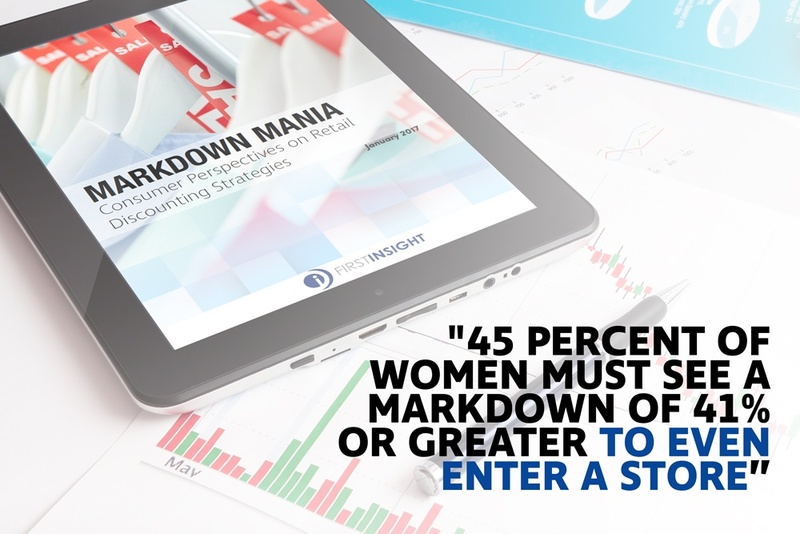 First Insight's report, Markdown Mania: Consumer Perspectives on Retail Discounting Strategies, uncovers how retailers have conditioned consumers to wait for the markdown before buying. Markdown Mania delves deep into the effect that rampant markdowns has had on consumer shopping habits. How can retailers reverse the lasting effects of these self-destructive pricing strategies? Download the report today to learn more.